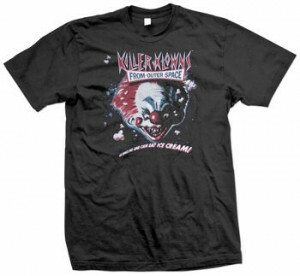 2011 Marks the 15 Year Anniversary for ihateclowns.com! 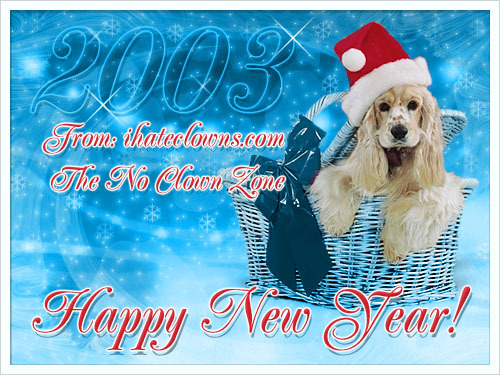 The No Clown Zone (originally located at members.aol.com/ihateclown and now proudly located at ihateclowns.com) has been online for 15 YEARS in 2011! 15 years! That’s older than Facebook and Twitter combined! What started out as a little site I put together to share my dislike of clowns has turned into a worldwide community of people who have realized they are not alone in their fear or hatred of the grease-painted ones. So let me ask you, fellow clown hater. What do you suggest we do to celebrate this momentous occasion? Are you a Facebooker who hates clowns, check out our official “i hate clowns” page on Facebook here and become a fan. I’m in the process of implementing this fresh, new, easy to navigate design of your favorite anti-clown website. If you find any bugs or broken links, please let me know. All feedback is appreciated! You can now network with other clown haters on our myspace page! If you’re the creative type that also hates clowns, then these custom writing journals are perfect for you. Filled with blank sheets of paper, so you aren’t constrained by lines (perfect for you sketching types), these are the perfect gift for the clown hater in your life! 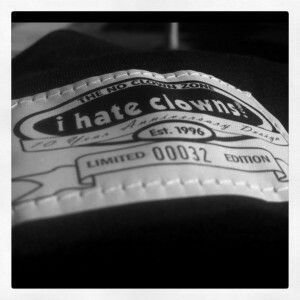 Today completes a complete redesign of the ihateclowns.com website. After 3 years, the main page was getting a bit cluttered and the other areas of the site were getting harder to update. Thanks to the creative design skills of Magia studios we now have a completely new look! Comments Off on ihateclowns.com redesigned! Get a Free iPod Shuffle! Get a free new iPod Shuffle for signing up at freeipodshuffle.com, completing one offer and get just 3 people to do the same. Merry Christmas and Happy Holidays from ihateclowns.com! Best wishes to all for the upcoming new year!